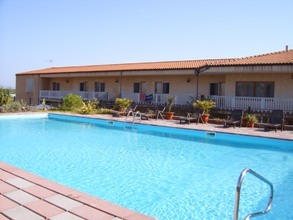 "Ungias" is situated in countryside so you can enjoy the quiet atmosphere of country without renouncing the beautiful beachs (just 2 km) and the characteristic historical town of Alghero (just 3 km). We offer to our clients a familiar conduction. 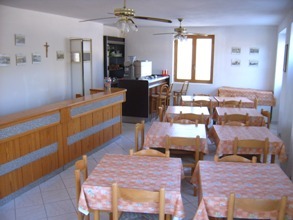 Along with a warm welcoming, you will find the accurate services to assure you a relaxing holiday. 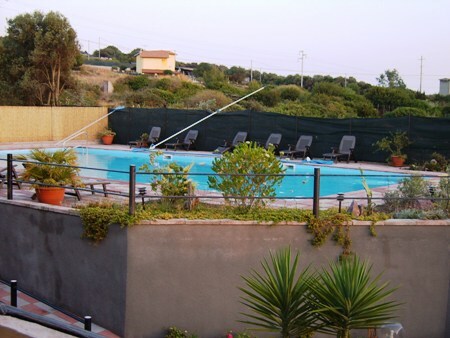 At guests' disposal are the swimming pool, free car parking. Each room have two beds and one bank bed . we joint two beds to make a doublebed. each rom can have from two to four people, family or friends. please came with your own transport..
when you are in airport call my number the first phone number in your booking confirmation. Graziella will answer the phone. In case the client rents a car to your arrival. you will have to enter city in the street Don Minzoni. Pass the second traffic lights to turn to the left anchor to the left finding you in the street Enrico Fermi still stop to cross 1000 meters and on the right you will find us. when you are in airport call Graziella at our number and if you have difficulty to find us we can come to pick you up for a cheap price. We dont' accept credit or debit cards but only cash. all reservation have to cancel 1 week before .the custmers don't call to cancel his booking we charge 2 days in his credit cards.when the custmer book have to call us to conferm his reservation.Deposits and payments made to confirm your booking are Non-Refundable. if you don't find the property please call the first phone number in your booking confirmation. Graziella will answer the phone.